Porcelain gives more natural looking results. Porcelain is rather translucent which makes it very similar to the dental enamel of teeth. The reason for why it seems like your teeth light up or brighten up whenever you smile is because it takes up the light from the room and allows it to penetrate through the dental enamel of your teeth and then bounce against the opaque dentin layer. 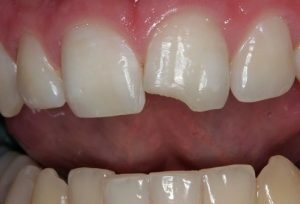 This phenomenon cannot be replicated with opaque dental materials such as composite resin material, making teeth treated with the substance to become highly conspicuous against the rest of the untreated teeth. On the other hand, porcelain is translucent in the same manner that dental enamel is, making it a suitable and more realistic material for reconstructing teeth. If you’re going to splurge on something, might as well pay for something which won’t end up staining just like your teeth. Stains are never flattering and most especially on your teeth. Composite resin material is a very much stainable material and can become discolored in a short span of time when exposed to enough coffee and other pigmented food and drinks. However, the glass-like surface of the porcelain makes the material great at resisting stains, and therefore making them last so much longer. Durability is another concern when picking out materials which will be used in reconstructing or improving the appearance of your teeth. Composite resin material may have become improved in recent years but it still does not match up to porcelain in terms of durability and ability to resist chips. Sure, porcelain may be more expensive compared to composite resin material but if you think about the amount of time that is required before you would have to replace your porcelain material, then you’ll be able to save up in the long run.